Select your desired options to find the best Sony Xperia L2 deals for you. If you are looking for a trustworthy name in mobile manufacture, then you can be sure that Sony is a sure bet. Although they have never really managed to sit right at the top, they do make robust handsets that offer a good, reliable performance. 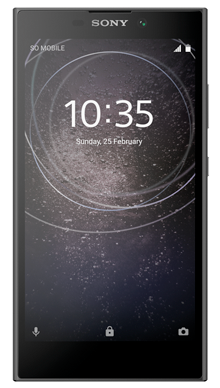 The Sony Xperia L2 is a midrange smartphone from Sony’s well know Xperia series and offers a lower price smartphone experience for those on a budget looking for a great little handset. At this level, it is a shame that the phone is plastic backed rather than glass backed as that does give away its lower end status. The front screen features edge to edge but not top to bottom infinity technology and follows Sony’s favoured angular finish. It is a good shape and size to hold. On this model, you will find a 5.5-inch screen with a 720p IPS LCD screen making it very similar in size to its predecessor, with a slightly enhanced screen performance. On the back of the phone is the long-awaited fingerprint scanner. 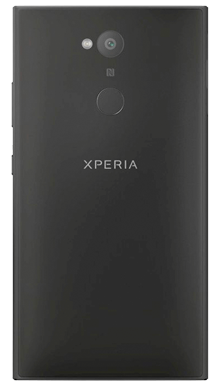 Appealing to many Sony have chosen to leave the standard 3.5mm headphone jack on the Sony Xperia L2, and the sound quality is what you would expect from a handset at this level. 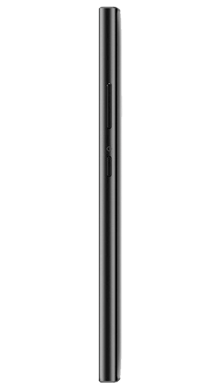 The sell for the Sony Xperia L2 is the front facing 8MP wide-angle selfie lens and on the back the 13MP main camera. Image quality is good but obviously lacks the software support that the top range cameras feature. So under the hood of the Sony Xperia L2, you will find the same technology used in the Sony Xperia L1 which is a little disappointing giving it a MediaTek MT6737T quad-core chipset, it has 3GB of RAM which is an upgrade. The software is Android 7.1 which is not quite as good as Android 8.0 Oreo which was already released before the handset was created. However, it runs well, and users will find that the speed and UX are good. As mentioned above Sony finally took the hint and added the fingerprint security upgrade to the rear of the casing, but it can be slow to recognise which is a shame. If you are in the market for a budget smartphone, the Sony Xperia L2 could be the handset you are looking for. It is not the fastest or the most, but it does what it has been designed to do well. The plastic casing offers an element of drop proofing if you happen to be someone that drops their phone a lot. 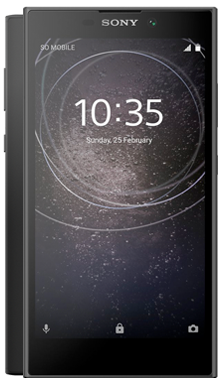 Working exclusively with network provider EE we have been on the trail of the best mobile phone deals for the Sony Xperia L2, and think you will be delighted with the range we have. If you want to ask us about the Sony Xperia L2 or any the other deals on offer at Metrofone, please do call us on 0333 900 1144.